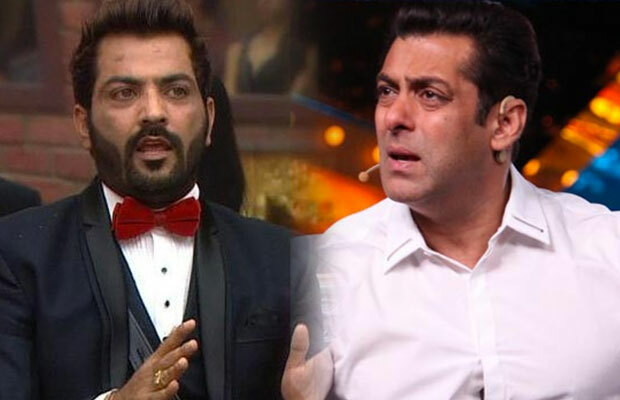 EXCLUSIVE Bigg Boss 10: Salman Khan EXPOSES Manu Punjabi Like Never Before! Home Editors Picks EXCLUSIVE Bigg Boss 10: Salman Khan EXPOSES Manu Punjabi Like Never Before! As the show is heading towards the finale, equations in Bigg Boss 10 house are seen changing at a lightning speed. The recent most shocking case of friendship gone sour was of Manveer Gurjar and Manu Punjabi. Though the two did not have any fight but it was quite shocking to see Manu bad-mouthing about his friend Manveer in one of the episodes of this week. To people who don’t know, Manu Punjabi expressed his disappointment over Manveer. Talking to Nitibha and Monalisa in the garden area of the house, Manu questioned Manveer’s friendship towards him. While Manveer was inside the house, Manu bad mouthed about his BFF to Mona and Nitibha. He even said that he took so much effort to let Manveer become the captain of the house, but now, he is not taking the responsibility at his best. NOW WHAT SALMAN KHAN DOES NEXT IS VERY SHOCKING! CLICK NEXT TO KNOW! Now we EXCLUSIVELY reveal, Salman Khan showed this clip to the housemates, which you will catch in tonight’s episode of weekend ka vaar. Manu might have not even dreamt that Salman Khan will expose his this clip to Manveer. Well, looks like this is a sign of a huge storm coming inside the house. Do you think Manu and Manveer’s clash will happen soon or later after this video clip shown by Salman Khan? Also, will Manveer continue his friendship with Nitibha after watching this clip? Share your views in the comments section below. Stay tuned to Business Of Cinema for more Exclusive updates on Bigg Boss 10 weekend ka vaar! Previous articleEXCLUSIVE Bigg Boss 10: VJ Bani Gets Aggressive With Salman Khan And How For This Reason!